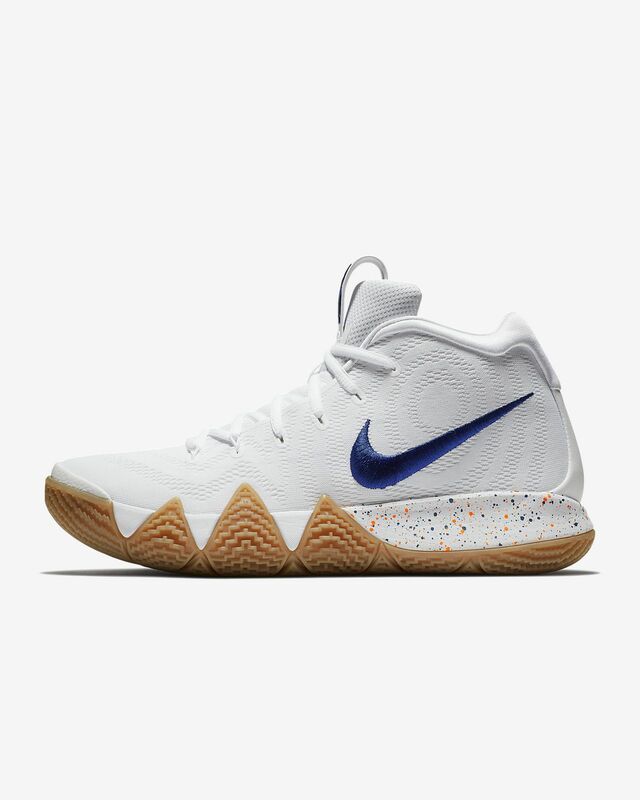 The Kyrie 4 'Uncle Drew' Men's Basketball Shoe is ultra-flexible, responsive and supportive. It's designed for Kyrie Irving's sudden changes of direction and smooth yet rapid playing style. 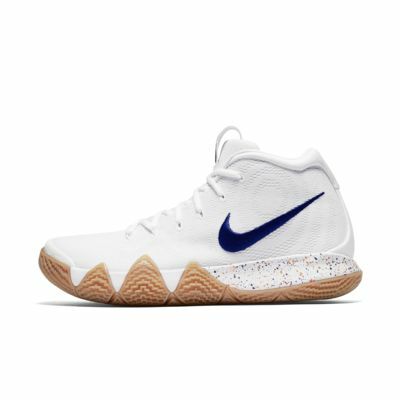 The Kyrie 4 &apos;Uncle Drew&apos; Men&apos;s Basketball Shoe is ultra-flexible, responsive and supportive. It&apos;s designed for Kyrie Irving&apos;s sudden changes of direction and smooth yet rapid playing style. Barely worn for 3 times and one of the shark teeth is peeling off. You don’t have to be a man only to wear these basketball shoes. As a female, I plan to wear them at my Zumba. They are beautiful mix of colors, sturdy, a lot of support, cushion at the bottom, but I had to truth size 7.5 men or 9 women. I need 9 1/2 women size. They are gorgeous and even though at first I was doubting ordering men type of shoe but these colors are unisex or beautiful purple, black, and pink.